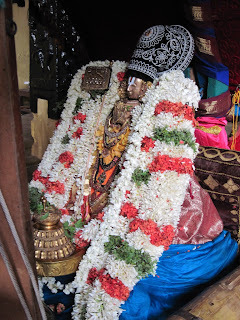 Almost 1000 years back, Shri Emperumanar was born in the month of Chithirai in the star of Thiruvathirai which falls on 7th May 2011 (Chithirai 24th). 10 day celebrations of His birthday are on, starting from 28th April 2011. 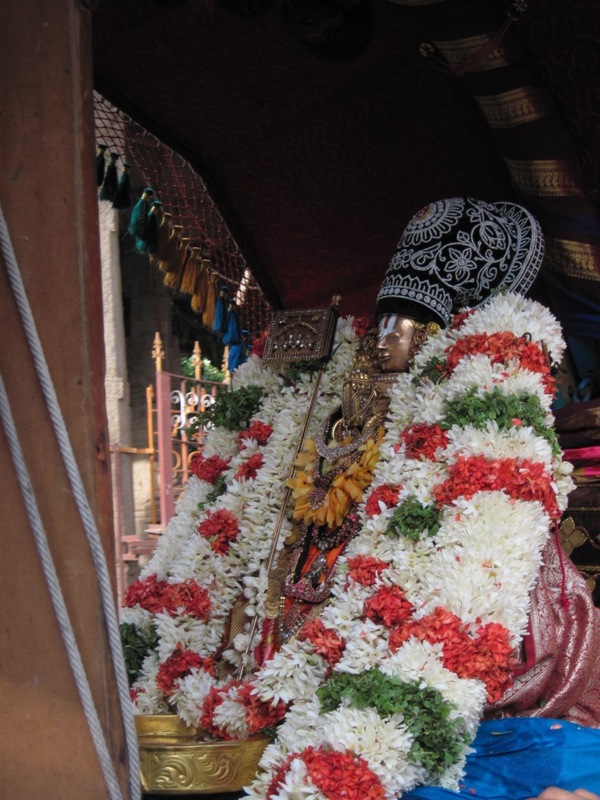 Shri Ramajuna lived and guided Vaishnavaites during years 1017 to 1137. The year of birth was Pingala. He toured the entire Nation. He visited Kashmir where the only copy of ancient commentary of Bodhayana was available. On returning he wrote the authoritative commentary on Brahmasutra dictating the same to Kurathazhwan. This is famously known as Sri Bashyam. The greatest of our Acharyas – Shri Ramanuja was bold to sacrifice himself completely for the welfare of masses. He was a great reformist and social reformer. He brought in place adorable systems for the management of the precincts of Sri Rangam divyadesam. 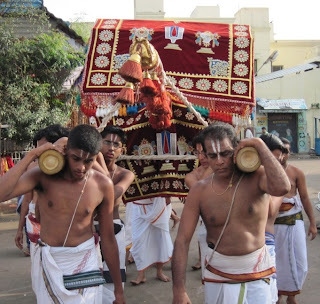 He lived in Melkot (present Mandya district near Mysore) and credited with the construction of a big lake at Thondanur there.Here are some photos taken on the first day purappadu of Swami Ramanujar at Thiruvallikkeni.